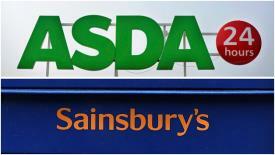 The proposed merger of U.K. supermarket giants ASDA owned by Walmart and Sainsbury’s is under review by the U.K. Competition and Markets Authority (C&MA) analogous to the U.S. FTC. According to an October 17th report in Dow Jones Factiva the C&MA will examine the impact of deep discounters Aldi and Lidl and online grocery companies including Amazon. In a submission to the Authority, Sainsbury’s noted the competition represented by Lidl with six percent of the market and Aldi with eight percent of grocery sales and traditional giant Tesco with 27 percent.